Maj. Gen. Bert Stubblebine (US ARmy, Ret), President of the Natural Solutions Foundation, and Rima E. Laibow, MD, Medical Director have invited us all to become Vaccine Refusers with them. I am Counsel and Trustee of the Foundation and am proud to say, I've become a Vaccine Refuser with them. This article discusses my understanding of the legal considerations of that position, as Counsel to the Foundation. In my case, I base my refusal on my sincerely-held religious beliefs, but others may have had a prior adverse reaction or other medical condition, such as Genome Disruption Syndrome, which provides a medical contraindication to further vaccinations. People are concerned about the consequences of being a Vaccine Refuser. It is my considered professional opinion as an attorney that, under the US Constitution, you have an inalienable right to control your own body and what is done with your body. You are a free person, not a slave. Let's start with the case often cited as the “lead case” in vaccination law, Jacobson v. Commonwealth of Massachusetts, 197 U.S. 11 (1905). This case is often erroneously cited as authority for mandatory vaccinations. While Jacobson did not prevail in the Supreme Court, it is to be noted that he never alleged harm or peril of harm; he only alleged that the mandating of the emergency influenza vaccination was ultra vires the state’s authority and the $5.00 fine imposed was unconstitutional. Jacobson was never actually forced to be vaccinated and history shows us that the $5.00 fine was later vacated. Furthermore, the case was decided before the comprehensive Federal pre-emption of drug approval that is now embodied in the laws empowering the FDA. It is the failure of the Federal authorities to abide by existing legal requirements that drugs be "safe and effective" and that new vaccines be safer than older vaccines that gave rise to litigation in which the Foundation was involved during the 2009 Swine Flu Vaccine Panic. That litigation, in state and federal courts, led to the collapse of the 2009 vaccine mandates. The argument for Federal court action in the face of a potential for the vaccines to “seriously impair” health for those who are mandated to receive the vaccines, is far stronger now than it might have been a hundred years ago, before the meta-studies and other experience that shows the potential harm that wide-spread vaccination must cause. 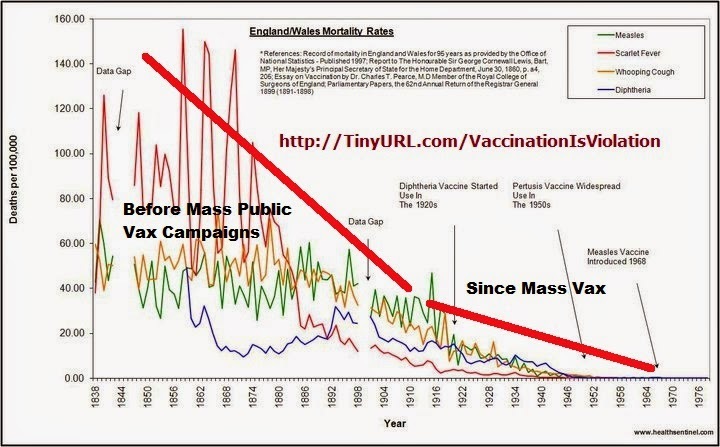 See Dr. Rima E. Laibow, MD's blog entry on the Flu Vax: http://www.healthfreedomusa.org/?p=13155 and her entry on the "Smoking Gun - They always knew vaccines were dangerous" - http://www.healthfreedomusa.org/?p=13456 . Congress adopted the National Vaccine Injury Compensation Program (42 U.S.C. § 300aa-10 et seq.) precisely because vaccines do cause harm and are uninsurable. The legal maxim, “No harm without a remedy” applies here and the Supreme Court in Jacobson instructs that it is not to be understood to be holding “that the judiciary would not be competent to interfere and protect the health and life of the individual concerned.” Approval of any drug (including a vaccine) by Federal Authority is now a necessary prerequisite for that drug to be lawfully available to the public in commerce. Such approval is a necessary prerequisite for any state mandate for the forced use of any such drug, since Jacobson holds that the courts should intervene if there is "reasonable certainty" that a person is "unfit" for inoculation since the procedure would "seriously impair... health..." Without the statutorily required showing of safety, we cannot have any reasonable certainty, thus no mandate can issue. Individuals and families have a number of lawful alternatives to vaccines. There has been a nearly universal adoption of religious exemption laws. Medical excuses are also universally available. Additionally, during a pandemic, individuals and families have a clear right under American legal practice and under international law to self-shield. Voluntary, at-home self-shielding and (if necessary) self-quarantine are viable, practical and easily available alternatives to mandated vaccination, isolation or incarceration in relocation centers during a declared “pandemic emergency.” Since the process is entirely voluntary, it preserves the rights and freedoms of the people and families choosing to self-shield. The Centers for Disease Control (CDC) states that Quarantine is usually defined as “to separate and restrict the movement of well persons who may have been exposed to a communicable disease to see if they become ill.” (the proper term regarding persons who have already become ill is “Isolation.”) The Red Cross tells us, “…both quarantine and isolation may be compelled on a mandatory basis through legal authority as well as conducted on a voluntary basis.” Self-shielding is taking voluntary steps to shield oneself and family from exposure to potential pathogens (or toxins or untested and uninsurable vaccines) while self-quarantine is when someone who has been exposed takes voluntary steps to separate from others (such people who exhibit symptoms are said to be in “isolation’). In 2009 (during the Swine Flu Vaccine Panic) Natural Solutions Foundation published checklists and similar information to allow families to plan for self-shielding. You can see that information here: http://www.healthfreedomusa.org/?p=2752 -- the citations used in this article may be found there. 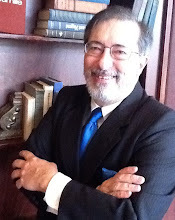 General Bert Stubblebine, Foundation President sees a potential for a new 2012/13 influenza vaccine panic leading to an engineered pandemic: http://www.healthfreedomusa.org/?p=13402. Every family, every individual, has a right to refuse medical treatments that violate conscience. This is clear from the Helsinki Declaration. If you exercise your personal sovereignty over your own body and stand your ground, proudly, as a Vaccine Refuser, you now know you can do so with justice on your side. Help educate state and national legislators about your right to be a Vaccine Refuser: http://tinyurl.com/VaccineFree. A true Champion of Health Freedom is retiring from Congress. He was the sponsor of countless bills in Congress seeking to protect our health freedom, involving topics as diverse as the types of claims that can be made for dietary supplements to promoting the interstate commerce in raw milk, outlawing forced drugging, and other liberty and health care issues. We will miss his uncompromising commitment to our freedoms. In every generation since the "Progressive" elitists and their crony corporatist minions triumphed in American society, a century or so ago, patriots like Dr. Ron Paul have stood against the "tide" and spoken their truth to power. Like a true patriot of old, Dr. Paul stepped aside from his medical practice twice to do his public duty and represent his community in Congress. Along the way he became the "Leader of the Opposition" calling the Federal Establishment to account for its lack of vision, its endless wars, and its looming failures. And he helped thousands of women deliver healthy babies, also along the way. He was not the first. At the start of the last century, Congressman Lindbergh stood against the establishment of the Federal Reserve, warning us of the potential for economic catastrophe -- and being proven right in both the "Great" Depression and the "Great" Recession. In a later generation, H L Mencken revealed the pretensions of the elitists. Then Senator Taft stood against the "bipartisan" Cold War interventionist foreign policy. He was followed by Senator Goldwater who rightfully warned us about the welfare/warfare state and its potential to devour our liberties. None of these patriots became president. They did something more: they became the conscience of the Republic -- the "Leader of the Opposition," standing against the prevailing "two" tax-eater party duopoly. Exactly as has Dr. Paul. No one has stood more strongly for our Constitution and liberties; no one has stood more strongly against empire and war. He continues to warn us of the pending hyperinflation and death of the Federal Reserve fiat "dollar" divorced by the honest gold and silver money demanded by the Constitution. He reminds us, "all empires end badly." For these reasons I expect we will continue to hear from the good doctor, who still has a prescription for what ails America. It is a natural prescription for old-fashioned freedom. And some good Amish raw milk wouldn't hurt either. 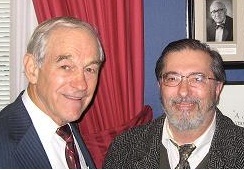 We can expect to hear from Dr. Paul through the Campaign for Liberty, http://www.campaignforliberty.org/. Of course, his support for health freedom will long be cherished by health freedom advocates and will continued to be championed on the Health Freedom USA web site, www.healthfreedomusa.org. 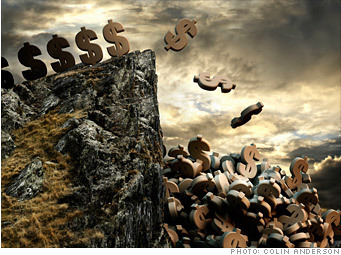 What can you do to protect yourself from the Fiscal Cliff and the resulting hyperinflation? We have established the Fund for Natural Solutions, an SEC-filed Reg. D private equity fund to help you bring your values and assets together. No offer may be made except through the Private Placement Memorandum, available upon request through http://www.FundforNaturalSolutions.org . Even if the health care system moves toward a "single payer" socialized system, the the assurance of equally decrepit health care for all, it highly querstionable whether the Federal Establishment can ever afford to maintain anything like the level of health care Americans have come to expect as an entitlement. So can the Federal Establishment ever meet the obligations it has taken on without lots of baby boomers dying before their time? It really comes down to the effect of the Federal Debt which has now topped $16,000,000,000.00 -- sixteen trillion fiat dollars. And what does that figure really represent? In reality, we value (Federal Reserve fiat) dollars in terms of gold, rather than gold in terms of fiat dollars. For example, a barrel of oil costs about as much in gold now as it did decades ago. In fiat dollars, that price has gone from $.25 per gallon when I started driving to, during Sandy here in NJ, about $6, if you could get it. The debt is the driving force behind the Fiscal Cliff and the looming collapse of standard health care. How can that debt be managed? A few years ago Switzerland converted 1,500 of its 4,500 tons of gold to fiat dollars and paid off its entire sovereign debt! The Smart Swiss are (sovereign) debt free! What would it take for the USA to do the same?. So the question would be, at what nominal fiat dollar price will the US govt's gold "clear the market" for Federal Debt? If you divide the $16T debt by the 8,000 tons of gold, you get a bit over $50,000 to the ounce of gold. The Founders saw the Continental Dollar go from one paper dollar equaling one silver dollar to about 1,000 to one. In the past century we've gone from 20 Federal dollars buying an ounce of gold to over 1,700 needed to buy an ounce of gold. Will the price of gold in terms of fiat dollars escalate further? Certainly. And, if hyperinflation is engineered in a desperate attempt to keep the banking bubble going, $50,000 to the ounce may seem cheap. The Zimbabwe hyperinflation didn't end a couple years ago until the central bank ran out of harder currencies to the point where it couldn't buy the paper and ink to print its paper. The people who will be running the Fed and the Treasury, and their laughable "overseers" in Congress, have no economic understanding that would lead them to any other endgame. What can you do to protect yourself from the Fiscal Cliff and the resulting hyperinflation? My co-trustees at Natural Solutions Foundation, its President, Maj. Gen. Bert Stubblebine (US Army ret.) and Rima E. Laibow, MD have joined with me to establish the Fund for Natural Solutions, an SEC-filed Reg. D private equity fund, to allow you to bring your values and assets together. No offer may be made except through the Private Placement Memorandum, available upon request through http://www.FundforNaturalSolutions.org .